Thousands descended on the holy city of Hevron to pray at the Cave of the Patriarchs and celebrate Israel's 4000 year ties with a concert! 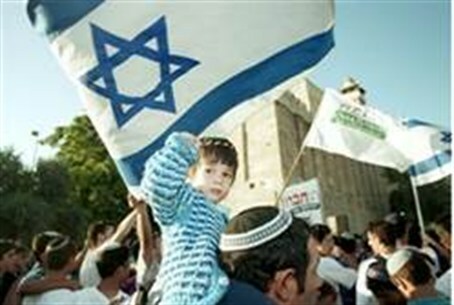 Thousands arrived in Hevron on Monday to celebrate the Passover holiday and pray at the Cave of the Patriarchs. Numerous artists and musicians came to pray and pay their respects to the historic city – and put on a concert for the masses. The spokesman for Hevron's Jewish community, Noam Arnon, commented on the recent eviction of fifteen families from Beit Hamachpela, The House of the Patriarchs. "Jews are not allowed to buy a home or new property in Hevron, the city of our forefathers," Arnon said. "What was permitted to Jews here for thousands of years is now forbidden." "Only three percent of the city is open to us, and we cannot purchase new houses," Arnon said, saying the eviction sent the wrong message to the entire world. Arnon said the community was, nonetheless, nonplussed. "Israel has had stronger claims to this historical place than anyone else for 4000 years." "We will continue to buy houses here and build homes, and to build the city of our fathers," he pledged.